Simon Phillips joined Version 1 this week as a Solution Architect. As the 100th Employee in Belfast, Simon represents a key milestone for the organisation's Northern Ireland Headquarters. Going from strength-to-strength in Northern Ireland, Version 1 has enjoyed continued success in the region. From being shortlisted in the IT Company or Team of the Year category of the Belfast Telegraph Business Awards and winning significant contracts to support Northern Ireland Government, this growth signals Version 1’s commitment to continued commitment to supporting our NI based customers. Lorna McAdoo, Head of Operations at Version 1 in Northern Ireland, was delighted to welcome Simon to the team. “Having begun operations here in Belfast in 2012 with a headcount of just four people, it has been fantastic to witness the continual growth of the Northern Ireland team to 100 highly engaged employees today,” she stated. Reaching this milestone represents our ongoing commitment to our clients and community, the availability of IT Talent in the region and our ambition to one of the most successful IT companies in Northern Ireland. 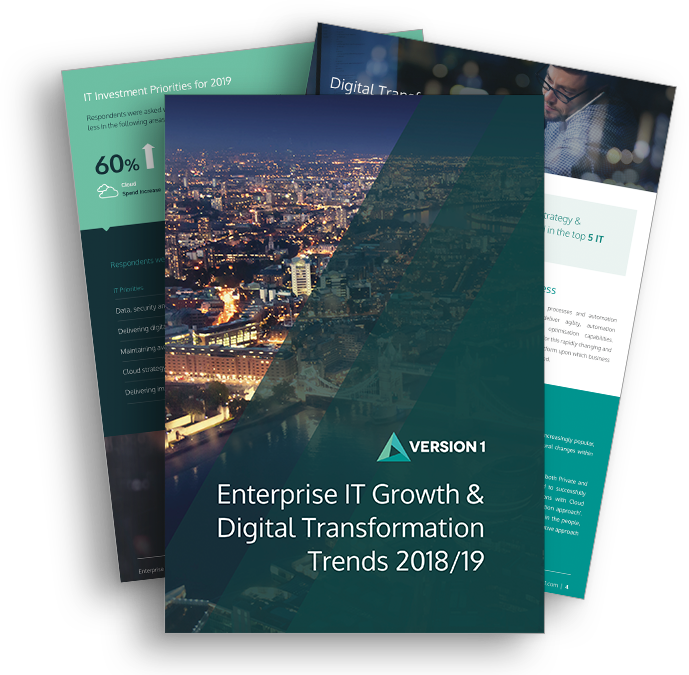 Version 1 Northern Ireland provides IT consulting and managed services to over 20 local and international customers and increased their revenues by 30% year-on-year to £8.5M in 2018. Version 1 proves that IT can make a real difference to our customers’ businesses. We are trusted by global brands to deliver IT services and solutions which drive customer success. Our 1200 strong team works closely with our technology partners to provide independent advice that helps our customers navigate the rapidly changing world of IT. We make differences. Big ones, and small ones. We use cutting-edge, powerful IT to help our customers drive the change they aspire to achieve. They use our services to make real, every day differences to their customer’s lives. If you invest in us, we’ll ensure that we invest in you; if you are driven, committed and up for a challenge, we want to meet you. We might just be a perfect fit.